Each year we assist families in need with a variety of items donated by our Adopt-a-Family and other community Sponsors. Eligible Tri-City residents qualify for generous food, toy and household baskets, plus our annual LOV Family Holiday Party. Some families registered for the Standard Package will become eligible for Adopt-a-Family sponsored adoptions – see the current terms and conditions available each October, for more information. 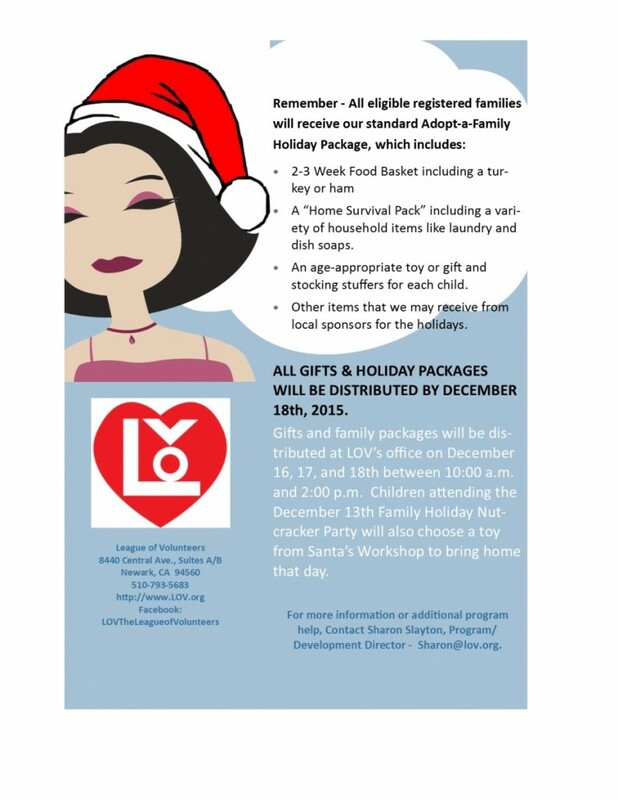 LOV’s online Adopt-a-Family registration, opens in early October. Apply to participate in our LOV HOLIDAY PROGRAMS.